Special Prayer: St. Achilles Kiwanuka, who for the sake of Christ detested vain superstitious practices; obtain for us holy hatred of superstitious practices. Achilles Kiwanuka belonged to the Scaly Ant-eater (Lugave) Clan, and he was 17 years of age at the time of his death at Namugongo. Kiwanuka was born at Lulagala in Ssingo County. His father was Kyazze, the son of a former Chancellor and the Martyr’s mother was Nassaza Talidda of the Civet-cat (Ffumbe) clan. As he grew up, Kiwanuka first entered the service of the county chief, but later became a depen¬dant of Ssaabakaaki, the man who presented him at Court on the accession of Mwanga. Achilles Kiwanuka entered the royal service at about the same time with Ambrose Kibuuka, the martyr, together with a fellow clansman named Lubinga, and were posted to the court of the great audience hall. It was Lubinga who persuaded them to burn the amulets with which their parents had provided them and to place themselves under instruction in the Catholic faith. The old Kyazze, Kiwanuka’s father, was very upset when the three friends paid him a visit and on enquiring about their amulets learned that they had abandoned their pagan beliefs. He determined to prevent his son and kinsmen from returning to the surroundings in which they had acquired such subversive ideas. The three lads, however, equally determined to continue with their in¬structions in their new-found faith, escaped his vigilance and re¬turned to Court. 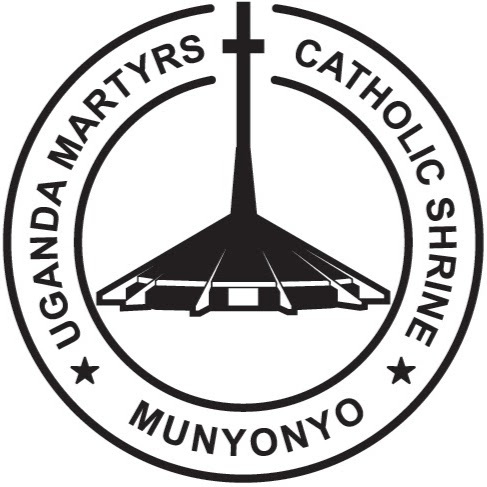 After the martyrdom of Joseph Mukasa, when it seemed likely that they too might, at any moment, be called upon to lay down their lives for their religion, Kiwanuka, together with other pages, stole by night to the Catholic mission to ask for immediate baptism. They were baptized by Pere Lourdel on the night of 16 November 1885, receiving the name Achilles. Achilles Kiwanuka was burnt alive in the Namugongo fires with other Martyrs on the afternoon of June 3, 1886. Achilles Kiwanuka is the patron of Clerks, Press, Journalists and Writers. Kiwanuka’s father, Kyazze, the son of a former Chancellor, held a post under the chief of Ssingo County, and it was at Lulagala in that county that the martyr was born. His mother was Nassaza Talidda of the Civet-cat (Fumbe) Clan. As he grew up, Kiwanuka first entered the service of the county chief, but later became a depen¬dant of Ssaabakaaki, the man who presented him at Court on the accession of Mwanga. Kiwanuka and Ambrose Kibuuka, the martyr entered the royal service at about the same time, together with a fellow clansman named Lubinga, and were posted to the court of the great audience hall. It was Lubinga who persuaded them to burn the amulets with which their parents had provided them and to place themselves under instruction in the Catholic faith. The old Kyazze, Kiwanuka’s father, was very upset when the three friends paid him a visit and on enquiring about their amulets learned that they had abandoned their pagan beliefs. He determined to prevent his son and kinsmen from returning to the surroundings in which they had acquired such subversive ideas. The three lads, however, equally determined to continue with their instructions in their new-found faith, escaped his vigilance and returned to Court. After the martyrdom of Joseph Mukasa, when it seemed likely that they too might, at any moment, be called upon to lay down their lives for their religion, Kiwanuka and Kibuuka, together with other pages, stole by night to the Catholic mission to ask for immediate baptism. They were baptized by Pere Lourdel on the night of 16 November 1885, receiving the names Achilles and Ambrose respectively.